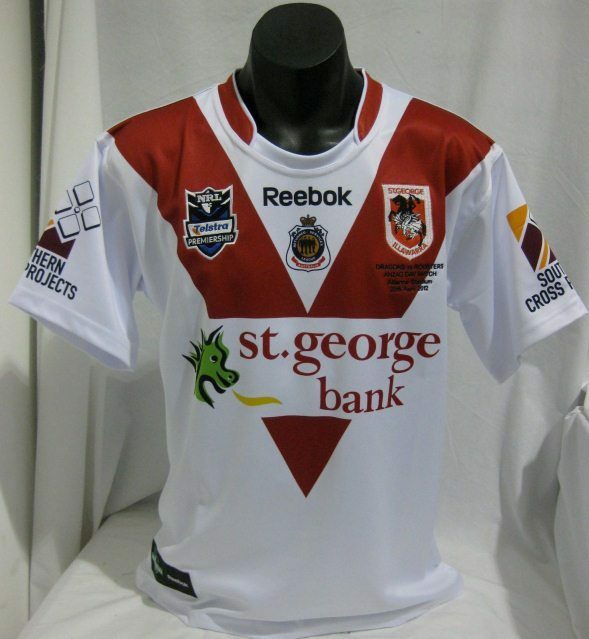 Along with the ANZAC Day jerseys for the Manly Warringah-Sea Eagles and Canberra Raiders, here is another ANZAC jersey, this time from the St.George Illawarra Dragons. This new Dragons ANZAC 2012 jersey will be worn in their game against the Sydney Roosters on April 25, 2012. Unlike the other camo creations for Manly and Canberra, St.George have gone for a more classic look, as can be seen in the picture below. The Dragons’ ANZAC jersey is made by Reebok, unlike Manly and Canberra, both of whom are outfitted by ISC.